These Terms are issued by http://www.pinaypalace.com/ (the “Company”). Please read this Member Terms and Conditions Agreement (the "Agreement") carefully. 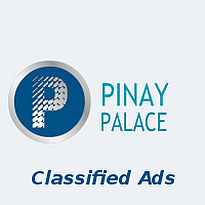 The Agreement sets out the terms under which the Website services (the "Services") are provided to you by us and applies to the entire contents of the Website under the domain name http://www.pinaypalace.com/ (the “Website” ) and to any correspondence by e-mail between you and us. Please read this Agreement carefully before using this Website.